A unique choreography of pearl and diamond. 18ct yellow gold in Linneys signature freeform style encases to Australian South Sea seedless pearls, with 13 round brilliant cut white diamonds. The ring features both textured and polished finishes. Designed and handcrafted at the Linneys studio workshop in Western Australia. 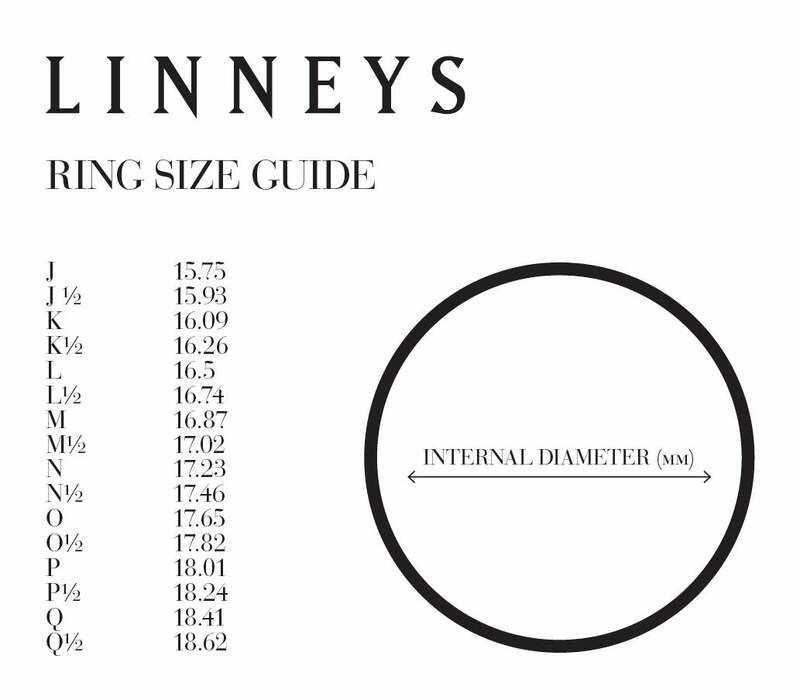 We offer complimentary sizing of our rings up or down three sizes from the current size which is often our standard 'L' for womens rings and 'T' for mens rings. This offer is valid for up to 2 months from the time of purchasing. Most rings can be sized +/- three sizes but beyond this range they will often need to quoted and custom made to suit. The price will increase slightly for larger sizes and decrease slightly for smaller sizes as it will change the gold weight in the ring. Join the Linneys family. For updates on events, new collections and more, subscribe to our mailing list.